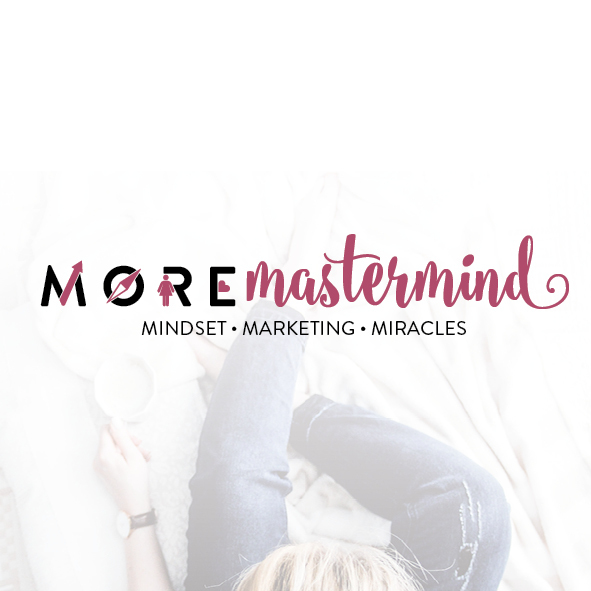 I’ve been talking for sometime about a couple of joint ventures I’ve been co-crafting, and finally I am able to go live and announce that I am happy to be working in a project called The MORE Mastermind with its creator, Victoria Casebourne. Victoria and I met via a Facebook group. She’s a mum with two small children and she was already pretty much sold on the idea of working school hours in term time only. And I’ve been saying for sometime that I wanted to work fewer hours too, why should it be only mums who get that? She invited me to be part of her inspirational year-long mastermind group called MORE. She’s passionate about helping mums (and dads) find a way to create their own income working from home as a better alternative for parents than trying to cram in a 9-5 job. Victoria’s got 15 years’ experience in her own right of doing that and a fabulous track record with her business The Keepsake Association, and her next project is to take what she knows and share it with others who want to work for themselves, to accelerate their creating their own income, and to support them while they do it. She knows first hand what it takes, as do I. For some time I’ve been looking for projects where I could lend my not inconsiderable business experience too, to help start-ups and young and even more mature businesses with what I know. I’ve already been working with Victoria and her team since the early part of the year while we put together the team for the project and ran the prototype. Now we’re coming – ready or not! – and we are inducting our first 50 masterminders during May. If you know you’d benefit from being in a year-long mastermind programme which offers lots of great stuff from which you can pick and choose, then take a good long look at what’s offered inside The MORE Mastermind. Decide to join us before 31st May and you’ll receive lots of valuable extra goodies worth the price of your membership alone. Early adopter? This has got your name all over it. We start after half term on Monday 6th June. Victoria has asked me to play to my strengths – helping the team of Angels who support our mastermind members, inducting the members themselves, running the Facebook group (my absolute favourite thing in the world) and being available for having my brains picked in various Q&A drop-in meetings during each term. And that’s just my responsibilities – there are many other fabulous and inspirational people ready, willing and able to help you and gagging to do it. I like this idea of going back to working in term times, it’s been a while, and today I was inspired to re-work my own calendar to work far fewer hours to make space for a life as I have encouraged so many mothers and fathers to do. After all, I’m just about to set off on my Beyond the Laptop Lifestyle adventure and what’s the point if I risk being too busy to enjoy it? I do hope we’ll see you inside. And if this isn’t for you or it isn’t right now, do please remember to tell all those you know who are either floundering alone or just waiting for the right reason to start. That’s us… The MORE Mastermind. Be, do and have MORE. Mindset, marketing and miracles. She had me at miracles.